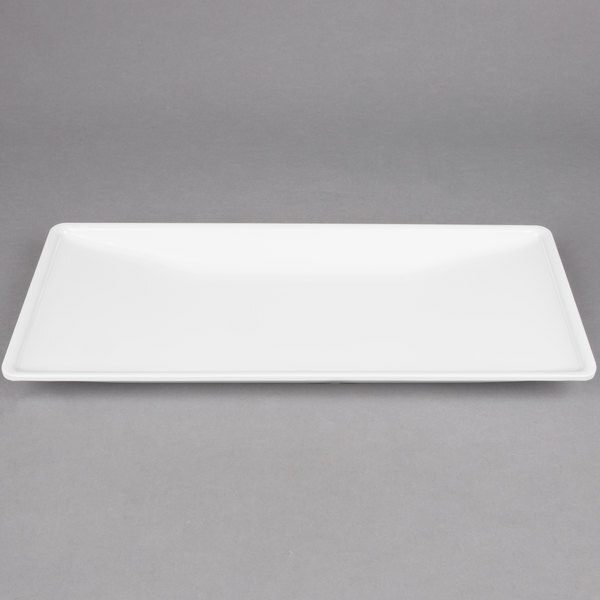 18 3/8" x 8 1/8"
12 1/2" x 8 1/4"
22 7/8" x 8 1/4"
Combining a contemporary look with modern materials, this American Metalcraft TRPZ18 Endurance 18 3/8" x 8 1/8" trapezoid melamine serving platter makes it easy to serve your signature appetizers in style, without the threat of breakage! Great for both indoor and outdoor entertaining, this serving platter suits the decor for a variety of settings including dining halls, weddings, and banquets. The easy-to-clean material is dishwasher safe and dries faster than the standard dishware, making clean up a breeze. 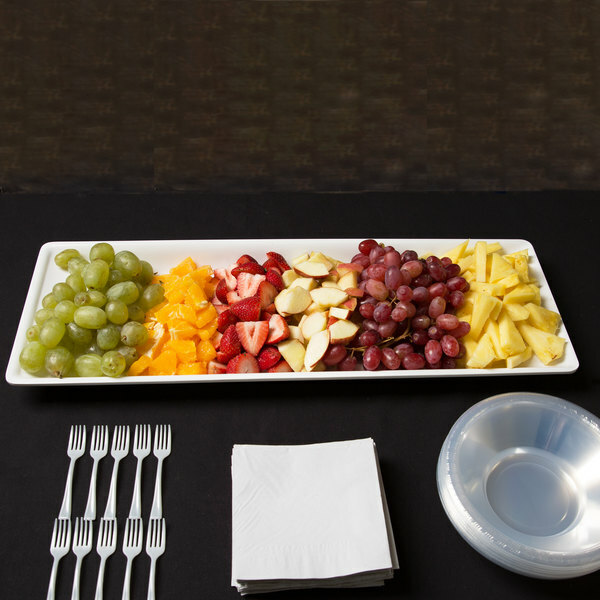 The sturdy platter can also endure the rigors of everyday use at any catering event or banquet hall. Made with a lighter, more durable material than china or porcelain, this American Metalcraft melamine platter still provides a similar look and aesthetic that will please your customers. 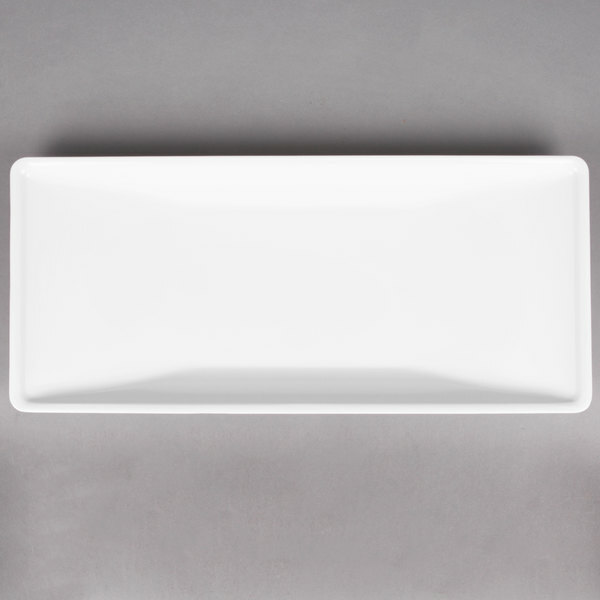 Ideal for plating appetizers, this platter can be used in the beginning of buffet lines or food tables at banquets, weddings, and catering events. 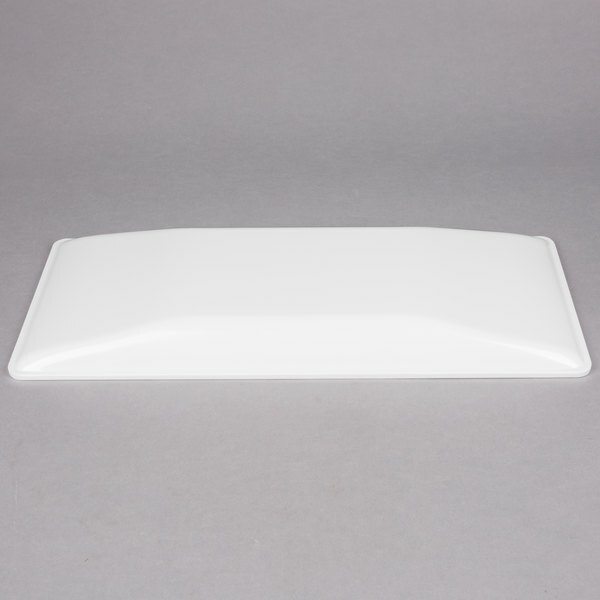 Its trapezoid shape with angled sides, keep the product on the tray to create a sleek, modern look. Perfect for hors d'oeuvres, try using this melamine platter to serve deviled eggs, meatballs, or stuffed peppers. 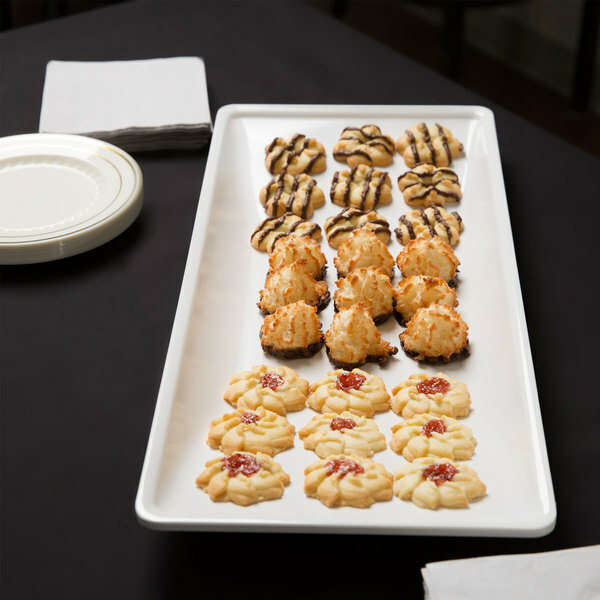 You can also use the platter for bite-size desserts including cookies, macarons, or mini cheesecakes. With this platter, you'll be able to offer a whole new look to your table presentations! These are good serving/display trays. We have had them for a few months now and they are easy to clean, have a distinguished look to them instead of basic platters, and withstand dropping on the floor.